Mr. David Franklin Black, 67, of Centre, died Friday morning, May 25, 2018, in a Rome hospital following an extended illness. Mr. Black was born in Rome on March 20, 1951, a son of the late John Franklin Black and the late Pauline Landers Black. A graduate of the Cave Spring High School, Mr. Black attended the Stateline Baptist Church, and was retired from the Choate Construction Company of Atlanta. Mr. Black loved nature, history, and things mechanical, having owned and operated a shop in Key, Alabama prior to ill health. Survivors include his wife, the former Olivia Ware, to whom he was married January 24, 2004; his son, David F. Black, Jr.; his daughter Breanna Black of Centre; five grandchildren, Travis Black, Brandon Black, Ashton Black, Samuel Black, and Terri Black, and 3 great-grandchildren. One brother, John Ollin Black and his wife Barbara of Chicago, and four sisters, Mrs. Dorothy (W. L.) Headrick of Rome, Miss Mae Black of Rome, Mrs. Joy (Malcolm) Foss of Armuchee, and Mrs. Imagine Brewster of Adairsville, and a number of nieces and nephews also survive. 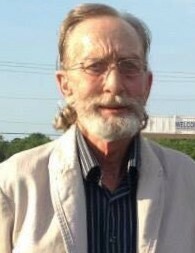 Funeral services for Mr. Black were held Monday afternoon at 3:00 P.M. EDT at John House’s Cave Spring Chapel with Rev. Tommy Patterson officiating. Interment followed in the family lot of the Howell Cemetery in Alexis, Alabama. Pallbearers included Bryan Headrick, John Graham, Jason Warren, Travis Black, and Wayne Maddox. The family received friends at the funeral home Monday afternoon from 1:00 P.M. EDT until the service hour.